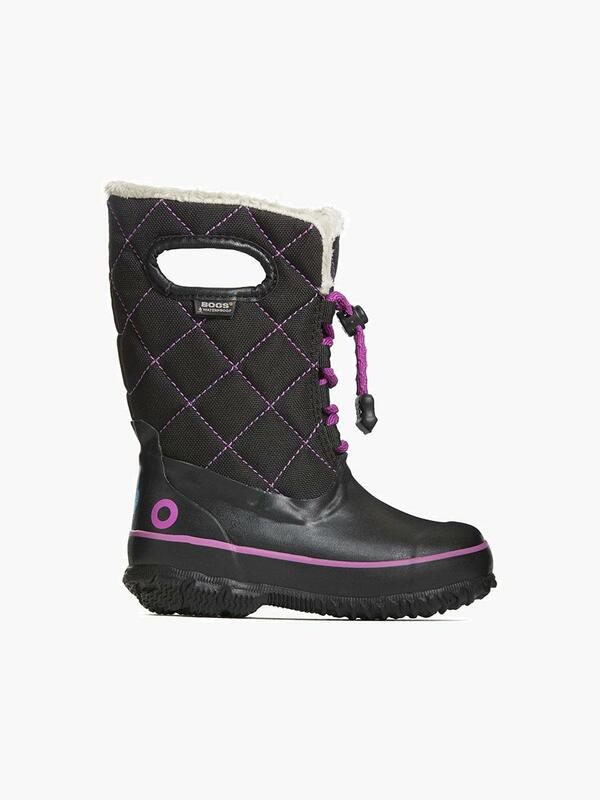 A quilted upper with a cozy fur lining makes this kids' lace up boot perfect for chilly winter months. 100% waterproof with Bogs signature pull on handles, this kids' boot features Max-Wick to keep feet fresh and an EVA insole to keep them comfortable. Combined, this makes the Juno an easy option for everyday play.